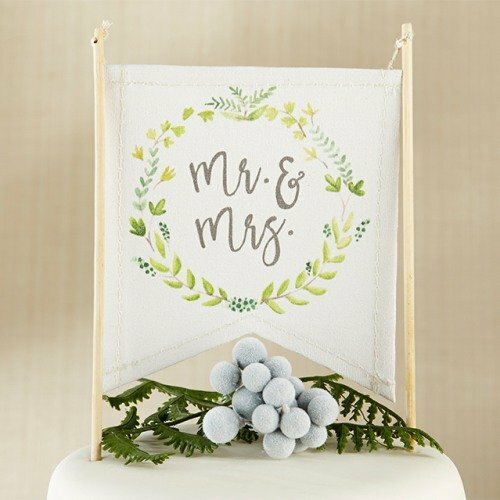 This simple yet stunning, botanical canvas Mr. & Mrs. cake topper is a beautiful finishing touch for any wedding cake. The banner is made of canvas and features a green leaf wreath design and the words "Mr. and Mrs." written in a dark brown font. The banner is secured with two sticks, one on each side. Simply stick the topper on top of the cake for a beautiful look.